As a truck driver, first hand you have probably seen the trucking turnover rate climb. Trucking companies constantly have new drivers coming through their doors along with having current drivers leaving. It is common to have 20 new drivers come through one week and end up replacing 21 drivers the following week, either by termination or resignation. The high turnover rate does not affect trucking companies. It affects the truck drivers also. Many drivers know that these problems occur, but they may not be aware as to how these problems affect them personally. What Causes a Higher Truck Driver Turnover Rate? 1. 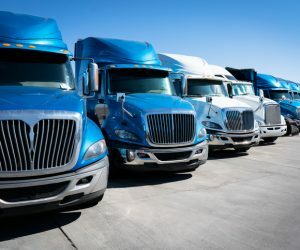 CDL Shortages Cause Higher competition – With the increased competition, many trucking companies offer sign-on bonuses, higher pay scales, and other packages to interest newer drivers. Typically, when a driver goes out to find new employment, they are often offered a job on the spot. With having this sort of flexibility, it is becoming easier for drivers to find work which causes a higher turnover rate. 2. Unanticipated Problems – Trucking is basically Murphy’s Law – what can go wrong for truck drivers will go wrong. 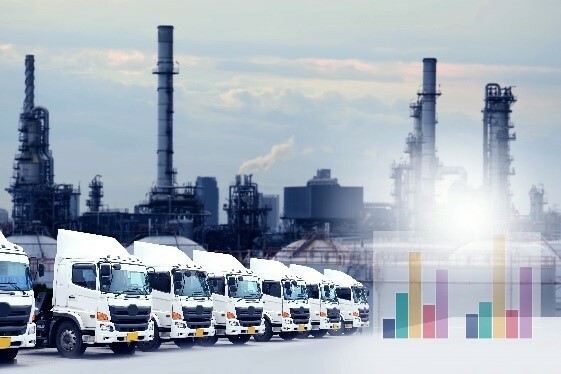 Unexpected problems can arise such as a breakdown, weather causing loads to be canceled, receivers or shippers causing delays, drivers running out of HOS hours, and the list can go on and on. For any OTR driver, these problems can affect the rest of their work week. 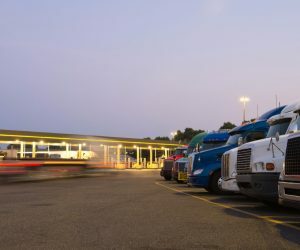 When a truck driver has encountered one of these issues, this could cause friction with the employer whether it was the company’s fault or not. Despite whose fault it is that the problem has occurred, the driver can become upset and may begin looking for different work or even look into becoming an owner-operator. 3. Walking Away from the Job – The saying “the grass is not always greener on the other side” is something drivers face when quitting one employer and moving onto another without solving the current problem. When a problem comes up, and instead of researching, some drivers quickly move onto another employer. When this happens, they may face more difficult issues than before. When moving from one employer to another, this is what causes the higher turnover rates in the trucking industry. 4. Drivers Feel Recruiters Are Not Trustworthy – Just like any other problem, when a driver becomes upset with the company they are working for, they begin looking for new work. A recruiter is the first person a driver encounters when inquiring about the job. If the driver is not adequately prepared or if the recruiter has overly promised a job to the driver, this can cause a turnover. Drivers may feel recruiters are not trustworthy because either the recruiter did not give all details of the job, or the driver did not ask all the right questions. Either way, when a driver feels they have been lied to or tricked into taking a job, this leaves the wrong impression regarding not only the recruiter but the trucking company. 5. Not Living Up to Promises – Drivers may have been promised certain things from a dispatcher or employer. 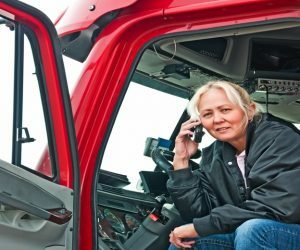 There can be many different reasons for a broken commitment from a dispatcher or employer, and it often makes drivers feel unappreciated. When a driver feels as if they are not respected, or that they are replaceable, this causes the driver to want to look for another job which increases the turnover rate. 1. 100% Non-Forced Dispatch – Landstar is fully non-forced dispatch of owner-operators who use their own trailer or Landstar offers a trailer for the driver. Each owner-operator within Landstar can choose their loads and where they want to operate. This gives Landstar’s driver the freedom they deserve to spend much needed time with their families, go home when they wish, and take loads when they are ready. Being non-forced this also allows drivers to make the revenue they need, in 2015 on average Landstar drivers grossed $178,000. 2. Load Board – There are over 1,000 independent sales agencies that quote and present freight services for Landstar to different government and organization agencies in the United States. When an agency accepts a request from a truck, it is added to the Landstar load board, where each owner-operator can view it. Landstar owner-operators retrieve all loads from the load board. Once the driver chooses a load, it is just as simple as contacting the agency and booking the load. 3. Load Alerts – The load alert technology within Landstar works with Landstar’s load board. As an owner-operator, you can set your load alerts based on the type of load you want to take. The filter options can vary from, weight, dates, trailer type, rates, destination, and origin. Once a load has been matched to your criteria, the load is added to the load board. A voice message is sent to the drivers with the same preferences alerting them that a load is available. So even if you are out on the road, Landstar’s load alert technique is still working behind the scenes to ensure the owner-operators are successful. Landstar Appreciation Days: This is a yearly, three-day event that involves contests, prizes, and catered food. One year, one of the prizes was a new tractor! Landstar Million Mile Safe Drivers and Landstar Roadstars All-Star Celebration: During this event, to applaud Landstar owner-operator’s accomplishments regarding safety, Landstar presents an appreciation event at a high-class resort. During this celebration, there will be prizes, food, and entertainment. Safety Awards: Landstar is continuously awarding drivers with safety awards that are decided on the level of safety and service. Some awards can even contain a free cruise! 5. Weekly Settlements and Percentage Pay – When it comes to owner-operator pay, Landstar does not hold back. Every week, owner-operators will get a percentage-pay settlement for the loads hauled for one week, ending three days before the selected settlement day. Instead of drivers needing to drive more miles to earn more pay, Landstar owner-operators will get 65-75% pay from each load. As an owner-operator you are choosing your own load, this gives the drivers full earning potential. When load rates increase, so does the owner-operator revenue. This keeps Landstar’s owner-operators coming back for more loads and keeps the owner-operators business successful. While the trucking industry turnover rates continue to increase, Landstar has learned a way around this increase. They have learned what it takes to keep their turnover rate low, and their owner-operators up and running. If you are interested in becoming an owner-operator for Landstar, contact one of our recruiters today!